Image: Abhishek Banerjee in file photo. 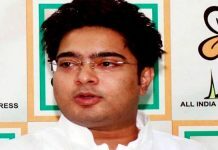 Kolkata: A man has been arrested from Nadial in Kolkata’s Garden Reach area for forging the signature and rubber stamp of Chief Minister Mamata Banerjee’s nephew Abhishek Banerjee. Md Awaj Khan was arrested today by cops from the Nadial police station. The arrest came on the basis of a complaint lodged by Trinamool’s Metiaburz MLA Abdul Khalek Molla. 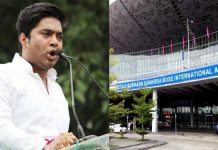 Khan had recently delivered a letter to the Nadial police station that carried the so-called signature and seal of Abhishek Banerjee. The letter spoke in favour of Khan as regards a land dispute to which he is a party. 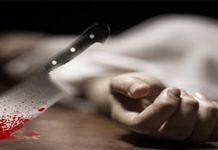 On getting the letter, police sensed a foul play and to verify the authenticity of the letter they contacted local Trinamool MLA Molla. The MLA, in turn, called up Banerjee and also tallied the signature and seal by visiting Banerjee’s political office in Kolkata. This left bare that the signature and seal on the letter are fake. Following this, Molla lodged a written complaint with police and the cops arrested Awaj.